How many times have you had a phone interview and known a candidate was wrong for the job within 90 seconds? Chances are that it’s at least one too many. Let’s take it a step further. Once you knew those phone interviews were headed in the wrong direction, how many times did you immediately hang up the phone? Unless you pulled a “[Cough] You’re breaking up! [Cough, Cough]”, I’m assuming it’s zero. And that my friends, is why phone screening is one of the most inefficient aspects of the hiring process. Fortunately, there’s a solution and it’s called online video interviewing. There are two main types of video interviews. The first is known as a one way, or asynchronous, video interview. This involves a candidate recording video answers to an employer’s text based questions and the obvious benefit is that the hiring authority does not have to be physically present to ask the questions. The second type of video interview is a live video interview. 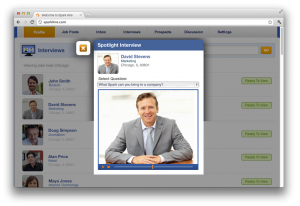 In this interview, a candidate and employer connect face to face via webcam. Now that we know the different types of video interviews, let’s dive right into 3 reasons why you should be conducting video interviews. 1. You will save an unbelievable amount of time. Remember those 20-30 minutes you spent on the phone with the candidate who wasn’t the right fit for the position? Conducting a one way video interview could have saved you those precious minutes. Simply type up your questions, send them to your candidates, and they will respond with video recorded answers. Since you’re able to watch their answers at your convenience, you can simply close the interview if the candidate isn’t cutting it. Sure it seems a little harsh, but let’s face it. Our time is valuable and we can’t afford to spend it on candidates who are clearly not going to work out. 2. You will gain amazing insight on the candidate. I would be willing to be that if you looked at the majority of job descriptions and the bagillions of lists on the “most desired skills by recruiters,” communication skills would be popping up everywhere. And this is no surprise! Companies want and need effective communicators with great personalities to advance their businesses. With video interviews, you are able to not only hear, but also see a candidate’s communication skills and personality in action earlier in the hiring process. Furthermore, studies have shown that 55% of first impressions are based on body language, an impossible thing to measure on a phone interview. 3. You will make incredibly smarter hiring decisions. The main purpose of a phone interview is to quickly evaluate a candidate in order to make a decision on whether or not they should be advanced further along in the hiring process. If your candidate search is nationwide, or international, you will most likely be flying a candidate in for a final round of interviews. Don’t you want to make sure you are investing money into the right candidates? A live video interview allows you to have a face to face conversation before you make the decision to bring the candidate in town. If you discover that the candidate isn’t worth pursuing, you just saved your company a boatload of cash. It’s also important to mention that video interviews will also help you make smarter decisions with local candidates. When a candidate visits your office for an in person interview, they are consuming your time. Conducting a video interview before the in person interview enables you to spend your time more wisely by only inviting the best candidates for in person interviews. BONUS: You will have extremely happy candidates. 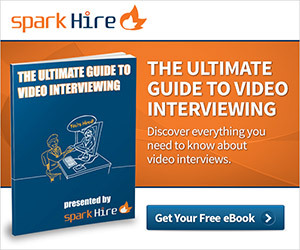 Video interviews aren’t only beneficial for employers, the benefits of video interviews for job seekers are plentiful. For one, candidates love that they are able to participate in the interviews from the comfort of their own home and with one way video interviews, on their own time. Looking at the reasons listed above, it’s easy to see how conducting video interviews can be a very effective way to save time, money, and make smarter hiring decisions. It’s no wonder the use of video in the hiring process increased by 320% from 2010 to 2011. So if you’re reading this and dreading all of the phone interviews you still have to conduct today (or if you’re reading this while on a phone interview), it’s time to consider making online video interviews a part of your hiring process.